Last year Andromache and I spent a couple of weeks in Kansas City. She was designing the set for KC Rep’s production of Bus Stop; I was Mr. Momming it with Galatea. The highlight of our trip was hanging out at the Reading Reptile. To go into the Reptile is to enter a sculpture garden of children’s literature. 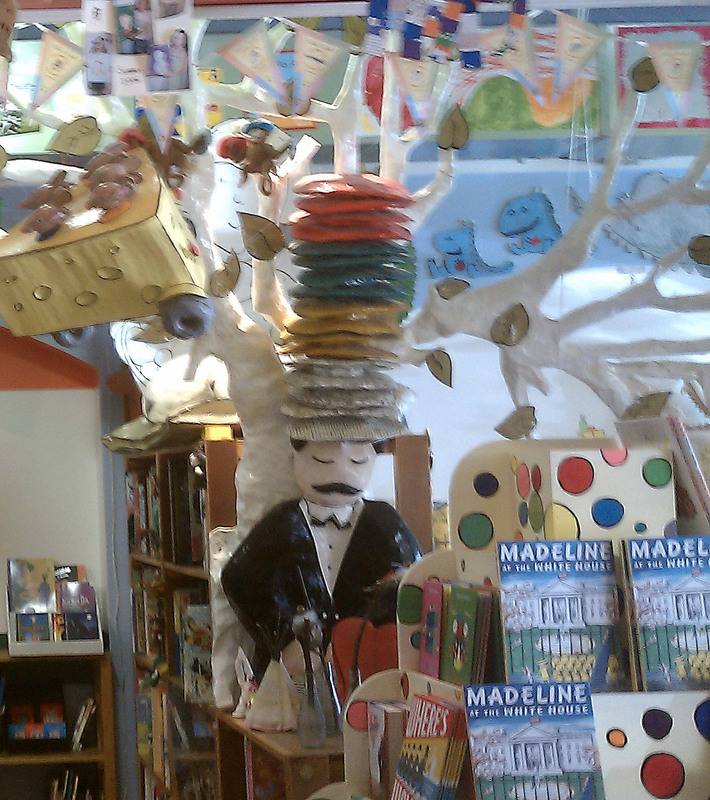 Debbie, the mother of the store, is an amazing papier mâché artist. My favorite is the tree from Caps for Sale with the peddler asleep at the trunk. I was so sad Gal wasn’t there to shake her fists and go “Tsz tsz tsz!” to the monkeys. Caps was the first book where Gal started copying what the characters were doing. It was also the one that made me realize I had no idea what kind of books she’d like. 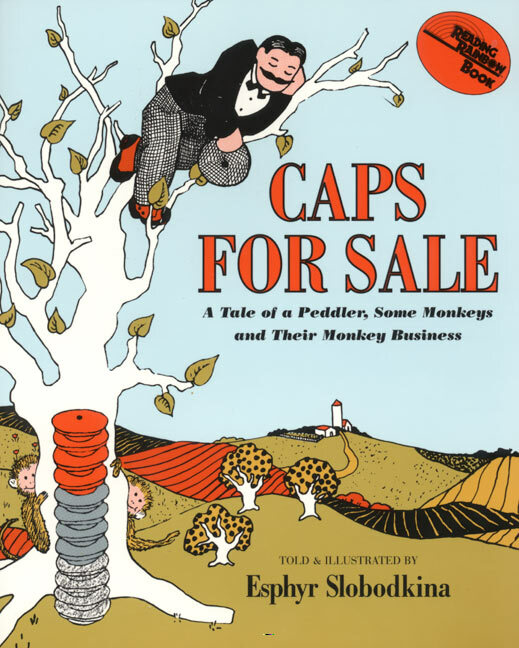 From a year old, she could understand the emotions of the peddler whose caps have been stolen by the monkeys in the branches. I never imagined the pictures would be the kind she’d go for either; they seem more apt for an obscure museum exhibition than a popular kid’s book. The Reptile has an amazing collection of books, especially in its picture book section. I particularly appreciate all the paperback versions of hard-to-find classics (or near-classics, I suppose). The books turned out on the shelf are not indicative of what’s selling the best so much as what’s most deserving. Every time I go in I learn about a dozen new books I’ve never seen before. I left with The Red Balloon—a kid’s book based on photos taken during the filming of the classic movie—plus a stack of other books that Debbie has recommended. 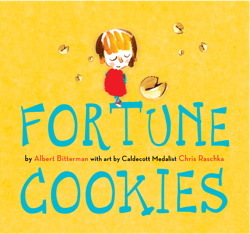 Near the register, there’s a large display of the new book Fortune Cookies, with drawings by Chris Raschka and writing by Albert Bitterman. It’s a wonderfully inventive book that we already have at home. The reason for the book’s prominence in the store has something to do with Debbie’s husband Pete being a “bitter man” himself.